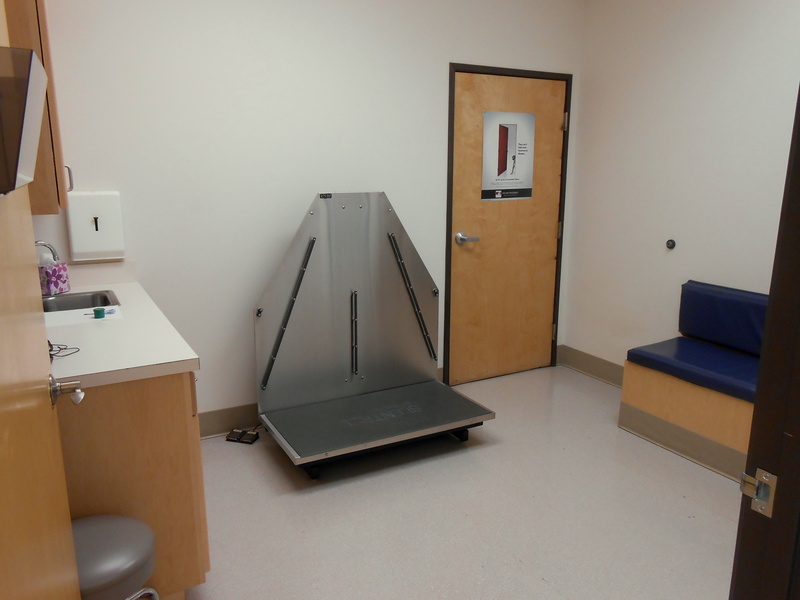 This is our large dog exam room which features a heavy duty lift table to help the pet and the veterinary staff complete a thorough exam. This is our large dog exam room. The lift table may be used if your canine companion is having difficulty moving, or removed from the room completely if necessary.